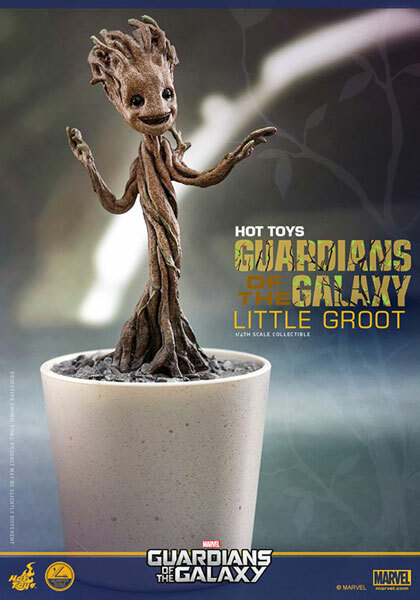 It is a surprised to know that Hot toys will be selling the Guardians of the Galaxy little Groot at Toy Soul 2014 a Toy show in Hongkong from 19 to 21 December 2014. 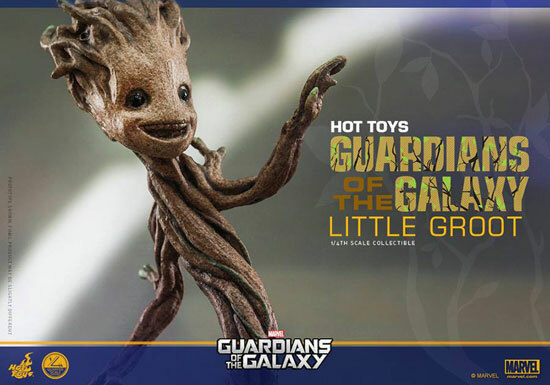 This 1/4 Hot Toys Little Groot comes with 3 interchangeable head sculpts, special paint application to reflect his distinctive appearance, and bendable arms and body to recreate Little Groot’s dancing scene to your liking. The actual height is about 12cm due to the 1/4 scale. It will be pricing at HKD $260 at the event. 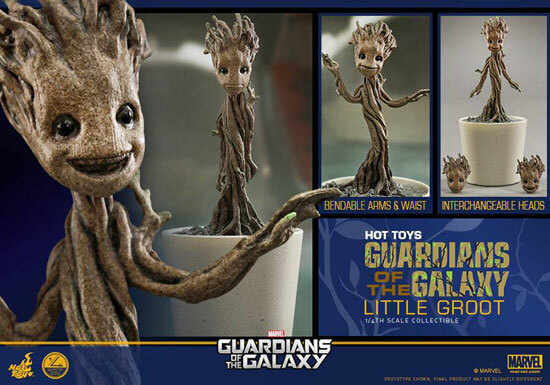 That being said, why not make a 1:1 Little Groot Hot toys?! 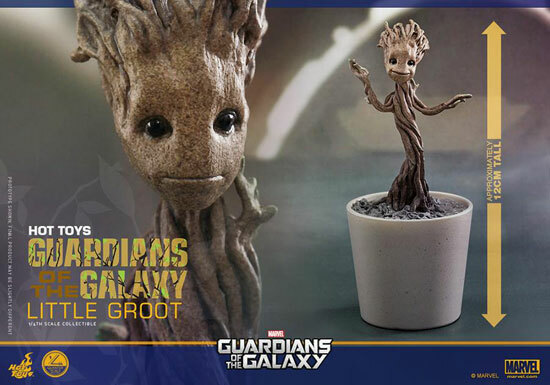 This is the best baby groot toy so far, too bad it's only 1/4 though.